Hello again, and welcome back to journeys, today I am offering you some thoughts on the first of the 12 zodiac signs, Aries. I deliberately kept my discussion of the characteristics of the 12 signs in ‘The 26 Keys’ to a minimum. This was because I wanted the reader to remain focused on the explanation given in the theory, which is an important statement about what the zodiac actually is and how it was created. 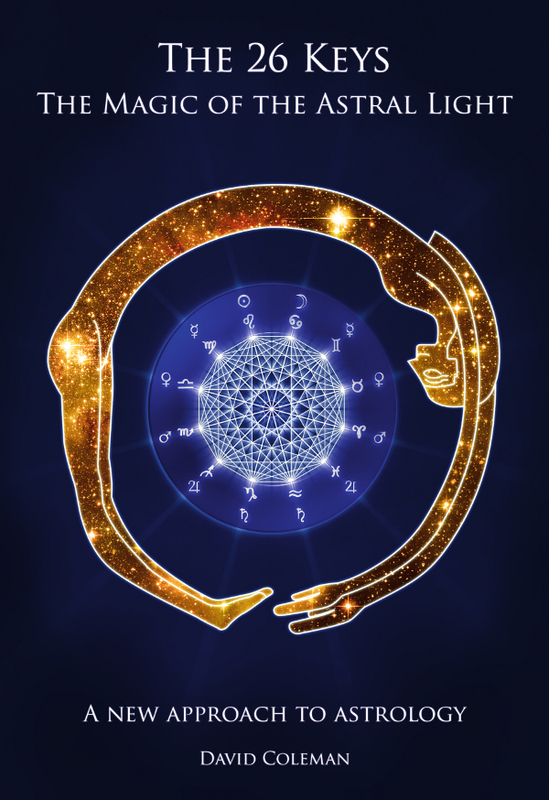 However I have been writing and advising for private individuals for over 20 years now and in that time I have had plenty of thoughts about the 12 signs. Here are some of them, and thanks for reading! Four thousand years ago the world ended. After millennia of pantheistic culture the roots of monotheism appeared in Egypt and the world subtly and gradually but violently shifted toward thinking in terms of a singular supreme being. The sacred bull cults – mystery schools widespread throughout the Mediterranean and the northern hemisphere – were slowly or sometimes brutally replaced by the worshippers of a new deity, a figure depicted as a ram, and the ram became the sacrifice of choice. The practice of sacrificing to the gods itself dwindled, for now the sacrifices were made to The God. In Egypt he was called Amun-Ra, the “Lord of truth, father of the gods, maker of men, creator of all animals, Lord of things that are, creator of the staff of life.” He was an amalgam of two deities, Amun and Ra, Ra being a solar deity and Amun being an ancient wind deity and even earlier a deification of the primal Air Element. His emergence characterises the New Kingdom of Egypt (the 500-600 years between the 16th century BC and the 11th century BC, covering the Eighteenth, Nineteenth, and Twentieth Dynasties of Egypt), which are considered by today’s historians to be the height of Egypt’s power. They are gravely mistaken, but that is another matter; the point is that an entirely New Kingdom with a new way of life was emerging and the character of this new way was centralised power under a single supreme being. The corrupt rise to power of the Amun-Ra cults eventually leads to Akhenaton attempting to break away from its influence at Amarna, there to establish a new supreme ‘deity’, the Aten, as the ‘One True Power’, an attempt which was doomed to failure. Amarna was the first paradise to be destroyed because there could be only one. Prior to this period we are in a 2000 year period we term the Bronze Age when the use of bronze was widespread along with the sacrifice of bulls. At the time of this New Kingdom, however, the Iron Age begins and tales of a Golden Calf are replaced by tales of a Golden Fleece. Mystery schools, some in particular, still carry forward the practices of the Bronze Age sacred bull cults – the Roman cult of Mithras for example is a later form of these earlier practices – but on the whole they dwindled. All these remarkable events are the stories from which our modern understanding of Aries arises, for they were all inspired by the appearance 4,000 years ago of the constellation Aries on the spring equinox, displacing the stars of Taurus. For the Egyptians this was nothing new – at least two thousand years prior to that they were aware of precession, the gradual slide of the canopy of stars against the sky over the passage of eons. Their tales of Osiris ‘falling’ are partly their recording of the slipping of Orion from the spring equinox position at the start of the Bronze Age. He hands power over to Horus who was linked to the stars of Taurus which appeared to visibly take over from Orion at the equinox and also shared some potent characteristics with it, such as a ruby coloured star. This first fall of Orion from the spring equinox was almost cataclysmic in scope to the people of the time and for many generations it was one of many closely guarded secrets in many of the mystery schools for fear of the panic it would create. An explanation had to be found for why the stars of Orion were falling nearer to the ground each year because to these people these stars were the literal corpus of a god, the physical body of Osiris. Eventually a cosmological and mythological explanation was found and this led to the installation of Horus as a new primal force. Privately, however, in the whispers heard in secret chambers and sacred spaces, there was thereafter always hushed talk of a decline into barbarism and savagery and a need to protect the sacred sciences and mysteries. It is also interesting to note that towards the end of this period with the stars of Aries dominantly rising above the horizon at the dawn of the spring equinox the development of horoscopic astrology occurred bringing with it the astrology we know today. Before this time (around the late 2nd or early 1st BCE) there was not only no ascendant but no birth chart, the practice of natal astrology being a development of horoscopic astrology. Only important figures such as rulers had their personal astrology consulted. The rest of us were not being arrogantly regarded as insignificant or unimportant slaves, we simply did not have the influence to change the world or to speak for the gods. The stars of Aries changed all that with the arrival of natal charts, a form of astrology where the autonomy and distinctiveness of the individual was newly emphasised. So what we have in Aries is a symbol which is at the root of our current view of cosmologies – that one alone should have a monopoly and reign supreme. In the box we can call Aries there is a lot of bloodshed. It is deeply saddening to look on this today remembering the initial spark of light twinkling in the eyes of Amun Ra. A thing of soul searing innocence and beauty has become a thing of war and conflict to us. And so what we encounter when the box opens, as always, is what we have ourselves placed into it, at least at first. It comes out with a thunderous explosion, immediate and enraged, demanding to be heard and to get what it wants, only emboldened to be more rash and determined when faced with opposition or suppression, given to shout ‘I WILL!! !’ rather than ‘I AM!! !’ Beyond this infantile thunder, though, there is the Beginning of all things in Light. When the Sun passes into the sign of Aries it marks the beginning of a new solar year, and in the northern hemisphere, where astrology developed, also the beginning of spring and the rebirth of Mother Earth. This is partly why Aries is given to be the first sign of the zodiac and the time of the infancy of the spirit. This does not mean that Aries is infantile; it refers more directly to the spirit of innocence which all Aries people possess and embody in their lives in unique and individual ways, its proximity to the origin of things. This innocence is not about being a baby or having a less evolved spirit, it is about taking a fresh approach, a clean break, and being motivated to get on regardless of the obstacles that may have been encountered in the past. Just as nature puts the long dark cloak of winter aside and behind her and gets busy with the germination of new seeds, new green, so too does the Aries spirit embark upon an often heroic and bold adventure out of darkness and into warmth and activity. It is in fact stirred so mightily to do so that it is sometimes prepared to lay waste to any and all opposition in its path. This sign is the Electric expression of Mars and this means it has great difficulty encountering setbacks and refuses to accept defeat or to back down. The Arien conquest of life is, however, inevitably leading to some kind of defeat, because it ends. When you are born beneath an Aries Sun, then, how you meet with defeat or frustration is as significant as what you choose to fight for. Choose the wrong battles and you will drive everyone away, but choose the right ones and you will create something extraordinary with a display of great courage, feeding on the challenges before you. This will draw people towards you as naturally as a strong leader draws followers. With an Aries Sun you become at the centre of your being an assertive and action loving individual who feeds on pressure and challenge. You have a strong need for independence and may tend to display self-concern assertively. Some of the key qualities which describe the qualities the Aries spirit strives to be or avoid include creative, bold, new, original, initiative, enthusiastic, daring, foolhardy, heroic, confrontational, enthusiastic, defiant, leadership, insensitivity and impulsiveness, impatience, anger, lack of self control, rudeness, selfishness, audacity and destructive passion. The most common Achilles heel in this list is probably impatience, as it is often the root of anger, frustration, rudeness and other negative expressions of Aries. 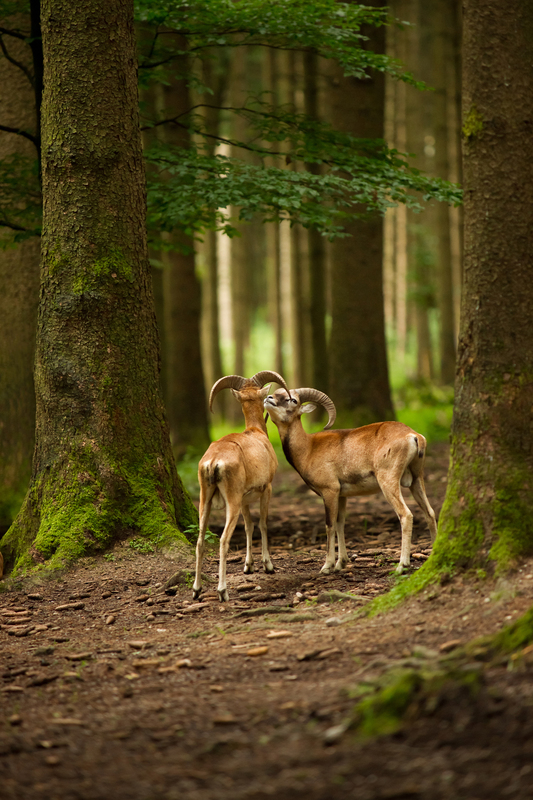 Aries simply has no time for time – things must be happening, immediately, and there is no convincing argument for dragging feet. Given that these qualities will pervade, animate and focus all the other astrology it becomes clear that all the planets and temples are made more restless and more eager to keep moving. The chart will not want to stay in one place for long, it wants to be active and it wants to be going forwards in some way and this will permeate the entire structure. Forget about aspects! They are just the highlights; the effect of a Sun signs influence is total regardless of the Suns aspects. The trine between the Venus and Mars of a Pisces person is very different to the same trine between the Venus and Mars of an Aries person. So the Sun sign nature must be applied as a powerful modifier of expression to the interpretation of everything else in the chart. This is why the Mars of an Aries Sun sign person gets notably stronger – it is being fed exactly what it wants, all the time but especially when the person is awake (because the Moon is the primary Light of sleep activity). This infusion of Aries into an entire chart can work well in some areas and require careful handling in others. A final judgment on this is a complex matter but aspects between signs are the general indicators to begin with. It can be a boon to any planets, the Moon or the 1st or 10th temple when they are in Sagittarius and Leo provided the Fire does not become destructive by being allowed to dominate, and it is also generally a boon to keys placed in Gemini or Aquarius, although this stimulation needs to be focused. The typical kind of boon enjoyed by these places is one of motivation, courage, strength of will and an outgoing, spontaneous spirit of enterprise and creativity. On the other hand there will likely be challenges and complications for planets, the Moon or the 1st or 10th temples if they are in other Active signs – Cancer, Libra or Capricorn. The effect on Active signs of Active signs is tending of course to hyperactivity and the stimulus therefore becomes restless, edgy and confrontational because it constantly needs to release the inner tension. Process are being driven, pushed, willed and forced to happen in ways which are often disruptive, poorly considered or insensitive. Aries is innately creative. This creativity is thus given to every part of an Aries Sun chart, stirring it with greater activity and force. This is not a Libran creative energy which likes to consider and balance things into harmony; it is a more volatile, irrepressible kind of ‘oomph!’ that pushes the daisy out of the ground. In nature, when it encounters an obstacle such as a rock, it does not get all puffed up and angry at being blocked, not unless it is being driven by a typical human, anyway. Instead it gets creative; it grows around the rock, and eventually finds its way to open up to the Sun as a flower. So Aries people often need to learn the art of creative adaptation as this helps them in numerous ways. They need to learn how to deal with frustration and obstruction by employing their creative firepower and just finding another way, rather than being hell bent on one singular, inadaptable form of attack. This is weakness, not strength. If Aries gets creative its troubles are halved while its strength is doubled. Another weakness of Aries and often one that causes more trouble than the impatience is the way that the Aries nature impresses itself on others with immediacy and spontaneous urgency. Whereas the problems of impatience are frequently more of a problem for the Aries person themselves, the way it projects this impatience onto others – pushing them to do things, to act immediately and in a way that pleases the Aries – is often much more destructive. This is really the problem that can kill off relationships for Aries, so they may either need to be with someone who is equally “go-get ’em” or learn how to handle other people with greater sophistication. The people of the Aries tribe are warriors who possess great willpower, they thrive on competition and excel when under stress. This much is a given. Their nature causes them to land in all sorts of situations which test their powers of leadership, initiative and strength of will. They are, as Steven Forrest has said, ‘stress magnets’. The spirit is bent on challenge and in many cases would not find life worth living if there were none. If this powerful impulse is not given a creative outlet it festers and turns on the people around it, often in ways which make trivial matters blow up out of all proportion – the Aries spirit will pick, bicker and poke at the world around it breeding resentment, rejection and eventually abandonment. So it needs to have something meaningful and challenging to attack in its life or it ends up taking the battleaxe to a watermelon. 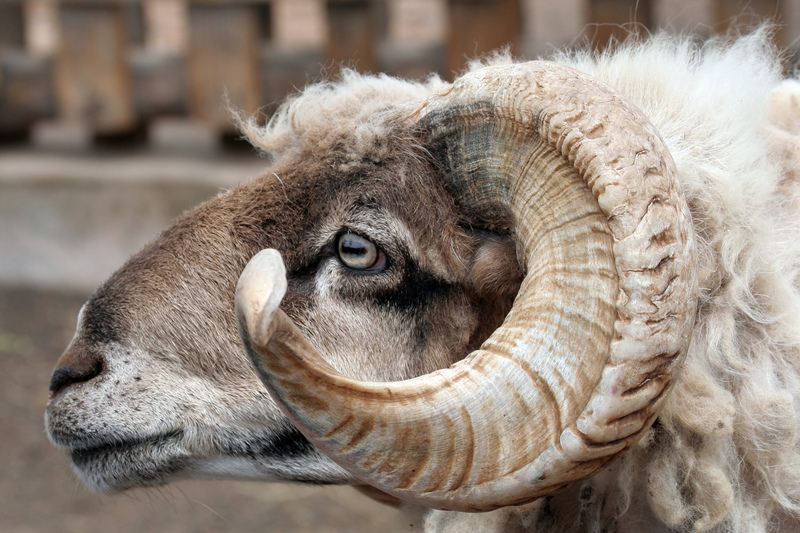 To learn the wisdom of choosing the right battles – that is the nub of a successful life as an Aries. The core self awareness is not by nature all that deep and glosses over complexities, especially when they are unpleasant or unpalatable, but the self awareness is still considerable in the sense that these people know what they want and feel little need to justify or explain it to others. They typically see no reason for deception or dishonesty that can be adequately justified and take people for what they appear to be or for how they represent themselves. It is an honest, open approach that does not navigate through the world we have created without coming up against things which make it angry. Content to leave the politics, theory and even the consequences of their actions to others to worry over, the Aries spirit is concerned only with the immediate impulse that tells it where it needs to be and what it needs to be doing now. Its spontaneous, creative nature is perhaps never more obvious than in the way with which it navigates through life moving from one immediate challenge to the next, removing them swiftly and with determination, never really having a big game plan which it can stick to because the needs of the immediate moment are continually directing its acts. It is navigating through the pattern of happenings that is life by paying heed only to the most pressing and immediate concerns, choices and paths before it and it has an inbuilt sense of where its path leads next but not really where it leads ultimately. So it is not given to asking questions about what things really mean or where they eventually lead and while this is an asset that serves it well in times of difficulty by burning away extraneous and non-essential distractions it can also be a detriment in situations that require forethought and careful strategising. Here is where the Aries spirit benefits from the advice of a good friend of the Sagittarius persuasion, or perhaps a Scorpio, Gemini or Aquarius. These Sun signs can enhance the performance of an Aries by providing additional information, depth and foresight. Scorpio, when acting from its ‘inner Eagle’ perspective in particular, is given to taking Aries under its wings because it senses a kinship towards its ‘younger’ cousin through their shared connection with Mars. The keen-eyed, suspicious, shrewd and penetrating perception of Scorpio sees the vulnerability in Aries, the innocence and determination, and seeks to protect it from the mysterious things it does not and often cannot comprehend. As years advance an Aries Sun sign will become first more concerned with practicalities and then more concerned with the world of ideas. This is because the Aries Sun will progress first through Taurus before or upon the age of 30 and then through Gemini before or upon the age of 60. When it progresses into Taurus the shift is towards a more practical conscious awareness and a desire to accrue resources, with the shift to the world of ideas and a more socially active Aries Sun emerging when the Sun progresses into Gemini. In the Taurus period the Aries Sun can start to both slow down and pay more attention to pacing so that it can work harder for longer without burning out and is not so prone to taking impulsive actions. The spirit becomes more grounded and wizened, more capable of standing alone, less in need of guidance and less threatened by it. The shift to Gemini is another milestone of conscious evolution in which the individual Aries spirit will begin to ask more questions of life and from itself, leading to an old age where it will often feel more sociable and talkative than before. The eldest Aries Suns which progress into Cancer can eventually settle down and often focus on family or private domestic matters. Just as when the Sun goes into Aries on the spring equinox, the flowers receive the impulse and signal to burst forth in a riot of colour and nature’s rainbow is resurrected again, so the Aries spirit continually flowers even after the winter of the long dark night of the soul. An esoteric perspective on Aries involves the resurrection of the eternal spirit, the symbolic teaching of which is represented in the giving of eggs at Easter. All birth is re-birth and thus all creation is re-creation, the cycle of being containing both death and life as embracing lovers. To Aries, death is perhaps the arch-nemesis, the foe who can never be overcome but who can be fought off for as long as there is a living impulse to survive. There is an innate awareness of indestructible immortality here. As stated earlier, the Aries spirit is on a mission to begin again or take a completely new approach, it has fallen back on its own core power of being to do so and this is why it is so sure it cannot lose – the spirit cannot encounter defeat, for it is eternal and rises above all. Aries only has to trust in this power of being, in its own existential courage, even after and in the face of setbacks, in order to ultimately win the day come what may. The Arien spirit continually approaches the world with a sense of wonder at the creative possibilities it contains, much like the view of an infant child. Through this attitude to life they learn about trust, for they are always open to forgiveness and new beginnings, to pure wonder at being alive. Their spiritual voice, the self realised authority they have when they are truly being themselves, is like songbirds in trees full of blossom, like baby rams gambolling in a green pasture. It touches us with its magical innocence and beauty, its awareness that all things are eternally being created according to a universal pattern. The vulnerability remains, the world we have made being no place for children, yet this is precisely why it needs them. The deep insecurity and vulnerability of Aries, the sweetness and gentleness and innocent view of life so often downplayed by astrological text books, is the true inner Light of Aries, and its insecurity in this world can only be alleviated by repeated reassurances to trust in the eternal nature of all things and the Wisdom of The Pattern. Thanks for your attention! If you enjoy this post, please consider supporting further posts on Patreon. Hahaha i just got that the cover picture of 26 keys resembles the spiritual eye(Shivanetra) as Described by Paramahansa Yogananda! Dearest David even the cover of your book pulsates knowledge :). I originally drew this image for a poem that was part of a collection I wrote in the early 90s. It was one of a series of pencil drawings for a book of poetry where I had done this Scorpio thing of encoding all my occult perceptions in metaphors. This partilcular design arrived fully formed as it were, and stayed with me over the years. I knew it was waiting for something. One day, many years later, I read the description of Yoganandas you mention, and it was weirdly haunting for a while, until I remembered the picture. A couple of years later I met Florian as I was starting to develop and test ideas for the 26 keys, Florian being the artist who finally gave it life, and after I helped him with something he offered to help me, and so some years later all this came together with the book. So that is the story of the cover, and yes, I think it is beautiful, and just as I saw it over 20 years ago.